Espey has been developing test equipment to support production needs for many years. Our goal is to create an ATE setup that is as flexible as possible. The ATE may be simply configured to perform incoming or final inspection or it may have the ability to also test subassemblies and perform in-process testing during a production run. 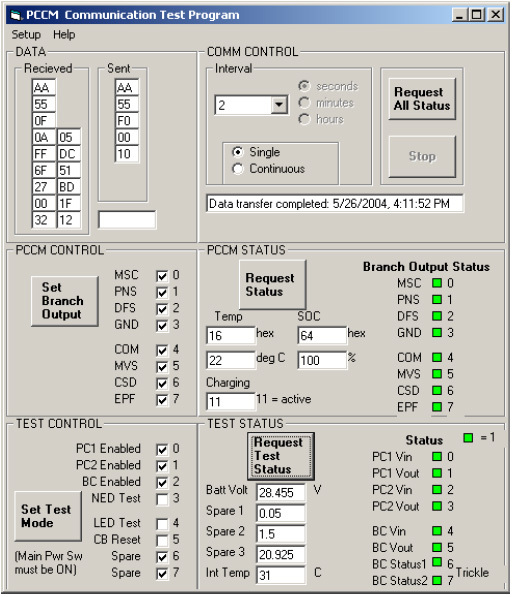 When configured for multiple module testing a Test Interface Box is typically developed for each module. Test results can be saved to a database for retrieval later or for further analyses. Espey’s experienced technical staff and manufacturing capabilities of any necessary electrical or mechanical interface assures a quick turnaround.